Investing in forestry is increasingly being seen as a solid alternative investment to the stock market and property as forestry investments continue to consistently outperform other asset classes year on year. Investing in forestry is becoming more popular as the barriers to entry are removed making forestry investment much more accessible to private individual investors seeking to diversify their investment portfolio. Who is investing in forestry? The case for investing in forestry is compelling and appeals to a wide range of investors. The profitable nature of investing in forestry is attractive to individuals who are looking for an long term investment which delivers an ongoing return but also appeals to investors seeking to hedge against the performance of their current equity investment portfolio. Finally the advent of climate change and the environmental impact of economic activities such as the recent BP Oil spill has prompted ethically minded investors to demand a more sustainable investment solution which enables them to still make a return from an asset which is environmentally sound. As a renewable asset class, investing in forestry is a prime example of a green investment. As the Governments agenda for climate change demands that a percentage of energy production comes from sustainable sources. Commercially managed forests are well placed to supply increased demand from the biofuel plants which should push up timber prices in the future. Investing in forestry in the form of commercially managed hardwood plantations ensures that in the future tropical hardwoods remain a sustainable timber product as currently only 1 per cent of global teak production comes from tree farms. The majority of teak is illegally logged from rainforests. As international governments seek to preserve global rainforests it makes this practise unsustainable and increases demand for timber sourced from commercially managed hardwood plantations. 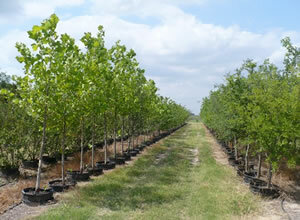 Investing in forestry has significant environmental benefits. A positive consequence of setting aside large tracts of land on which to grow forests is that in doing so you are effectively creating a carbon sinks as forests absorb more carbon dioxide than they emit. Many forestry investments offer the potential to deliver an added return by becoming an accredited carbon offset projects which generate carbon credits. Carbon credits are a byproduct of forestry and its ability to store carbon. Carbon credits can then be traded with larger organisations looking to purchase carbon credits to offset their greenhouse emissions. The ultimate benefit of investing in forestry is that you are inadvertently helping to preserve green spaces, maintaining pleasant environmentally appealing surroundings for all to enjoy. There are two main options for investing in forestry; direct ownership and management of a commercial managed forest ie actively growing trees to harvest that timber at a future point in time. This option has less appeal so the the majority of investors opt for a hands-off approach to investing in forestry usually via a collective investment vehicle such as a forestry fund or indirectly by purchasing a share in a forestry plantation. Investing in forestry requires as little as £10,000 to lease a forestry investment plot from which you are eligible to receive 100 per cent of the net profit when the timber from that plot is harvested and sold. Forestry funds usually have a minimum investment threshold of £1000 but may incur annual management charges of anything up to 1.5 per cent and redemption charges if you choose to exit the investment. Forestry investments offers investors protection from tax on income and gains as many forestry funds or collective forestry investments qualify for investment through an ISA or can be placed in a self invested pension. An added incentive of investing in forestry is that any increase in the value of timber is exempt from capital gains tax and in addition income accrued from a timber crop is free from income and corporation tax. Finally the most attractive benefit of investing in forestry is that wealth held in the form of a commercial forest is exempt from inheritance tax (IHT) after you have owned it for two years because it qualifies for business property relief.